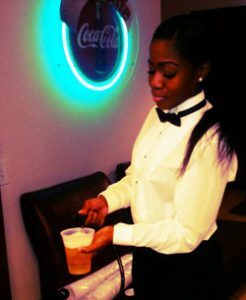 Bartenders for all Occasions is an on-call bartending service that we hire our Graduates to work. We cater to Weddings, Anniversary, Engagement, Graduation Parties, Major company events, Grand Openings, Fraternity, Sorority, etc. We provide great, fast, as well as efficient services. We will provide a bartender for any party, any day, or time of the week with a minimum of four hours for the event. Give us a call today to book your bartender(s) today.